Indeed, the town’s cultural history can be found in a museum to churches, church bells and the pipe. The web site gives great detail about the town’s history. The site has an English translation and is well worth the trip on the web. But, let’s start at the beginning of the Mr. Brog history, the latter half of the 1940s, as Europe was digging out of the costliest global conflict in the history of the world. Located in southeastern Poland, Przemysl borders Ukraine, which has been in the news of late, and experienced many armed struggles over the centuries. 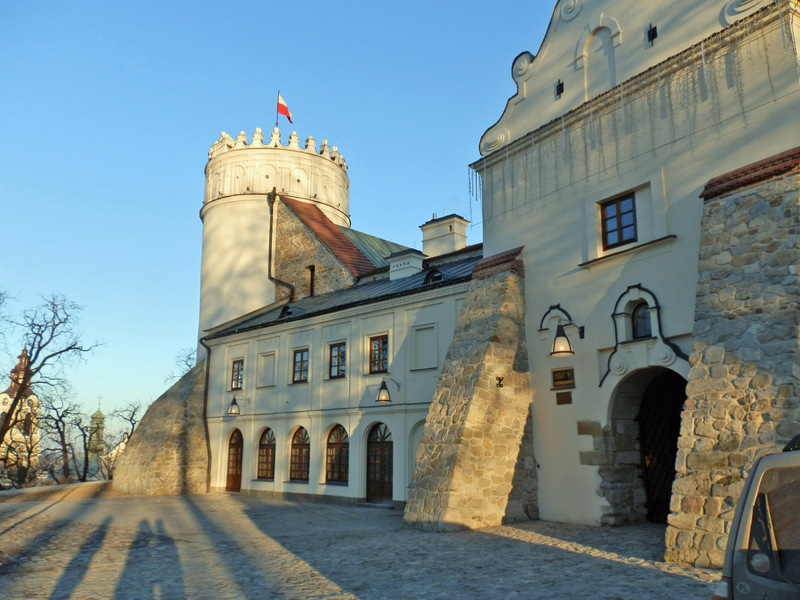 The beautiful and historic town is known as the Przemysl Gate, which connects mountains and lowlands in fertile valleys. Przemysl is a town of more than 66,000 anchored on the banks of the San River, which thrived over centuries as an important trade route for Central and Eastern Europe. In 1947 master carvers Wiktor Winiarski and Zbigniew Mazuryk of Przemysl started a pipe company called "Wooden Accessories and Plastic Products–Beskid". Beskid was stamped on the pipes to represent the Beskids Mountain Range, a traditional name of a powerful array of mountains in the Carpathians, stretching from the western Czech Republic along the border of Poland on up to eastern Ukraine. Also, Beskids is a kind of signatory to the history of the shop as it was passed down from master to student over the many years. The fertile valleys footing the mountains not only grew food, but also produced wonderful pipe carvers. The name Mr. Brog derives from the current owner/artist Zbigniew Bednarczyk and his master teacher, Kazimierz Rog. 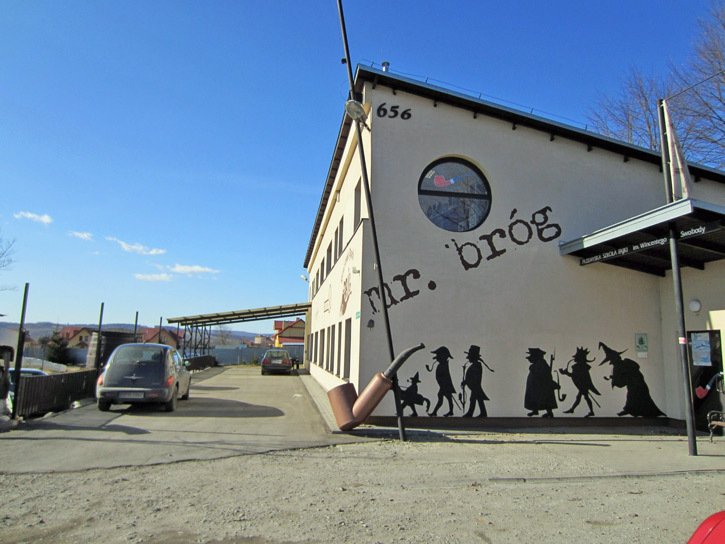 In 1981, Zbigniew Mazuryk partnered with his co-workers, and the shop became "M.R.B" (a combination of the names Mazuryk, Rog, and Blazkowski). It is noteworthy that the company from its inception as a place for pipe artists, has always commemorated its master carvers in the future of the business of pipe making. The initials M.R.B. were stamped on the pipes and mouthpieces in the ’80s during an era of martial law and the rationing of tobacco products. This was a time of prosperity for the company since demand for tobacco products was high, according to information from the company. Beginning in the early 1990s, the name "Brog" was stamped and numbered on the company’s pipes. Brog also produced a catalogue at the time, featuring its pipes and the nomenclature of numbers. Then in early 1995, Zbigniew Bednarczyk bought out his partners and registered the company under the Mr. Brog name, according to company history. Pipe smoking in Eastern Europe is widespread, and quite possibly outranks America in popularity. The catch is that pipes carved from briar are expensive and many smokers in Eastern Europe struggle to purchase pipes made from the burl. Conversely, pear wood is prevalent and much, much cheaper than briar. Poland is blessed with pear orchards. Pear wood is found in many of the country’s wood products, such as furniture, stairs, and artistic or cosmetic turns and trim on products. 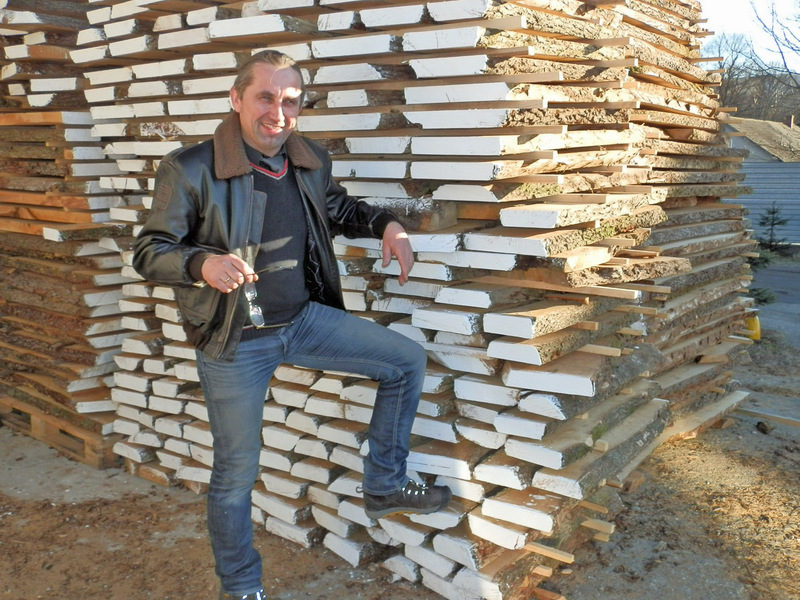 And, says Zbigniew Bednarczyk, owner and creator of Mr. Brog pipes, pear wood is very dense. "It has almost no air holes," he says, unlike briar that will have air holes to be plugged. This fact, says Bednarczyk is a "blessing" for pipe carvers in Poland. Pear is cheaper and makes for a good smoking pipes. The only downside, he says, is that pear pipes smoke a little warmer than briar. But, that’s welcomed during Europe’s cold winters. Wink, wink. In addition, briar was extremely hard to come by after World War II. It wasn’t until the 1970s that Polish carvers were able to obtain briar from Albania. Today, Poland’s carvers source briar from Mediterranean countries. 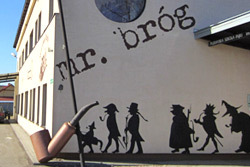 Thus, you have the beginnings of Mr. Brog Pipes, a handmade pipe produced in Poland. It has gone from zero to selling more than 2 million pipes and claims it leads the European market in pipe production. Mr. Brog turns out some 50,000 pipes per year, 25 percent of which comes to the United States. Most of the carvers produce roughly 30 pipes per day, according to the company. Pipe masters at Mr. Brog are constantly deriving new designs. Once a design is drawn out, the bowl and outside of the shank are drilled and shaped. More than 50 percent of the remainder of the pipe is produced by hand, according to company information. The drilling and shaping are fashioned up to a point, and then the hand tools take over. The basic block is cut by hand. The inside and outside of the shank is drilled. The bowl is drilled as is part of the outside of the bowl. Freehand tools complete the rest of the pipe. Other than producing an impressive smoking pipe at a lower cost, Mr. Brog’s driving philosophy is unique in this day of mass production of products. Mr. Brog is not all about money, but "about expressing the feeling of art for others to enjoy," says Bednarczyk. "There isn’t a greater feeling for an artist than to be able to express the imagination and have the world enjoy it. My vision leaves my hand, and does its job for 100-200 years in some else’s hand. "This is what drives the Mr. Brog brand, and that is why we constantly have new designs, and new colors and finishes." Europeans, says Bednarczyk, in general are more relaxed people, and have more time to make use of a pipe. "In the U.S. everybody wants a quick two-minutes smoke, and (then) run(s) off. 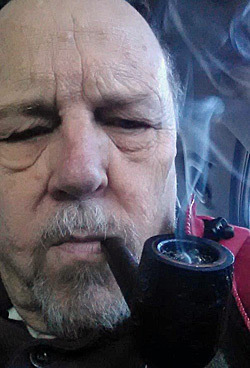 "In reality, there’s nothing that can come close to a good pipe smoke. It is the healthiest form of smoke, and also the most relaxing and appreciating," sayeth the master carver. 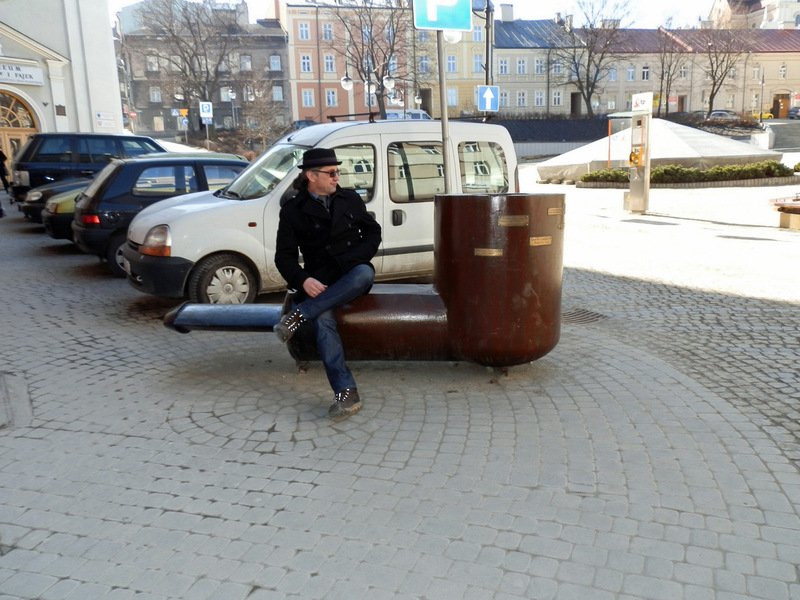 And then, there is this: "Here in Poland, we like to say a pipe is good for a smart person and a dumb person alike. It gives the smart person time to think, and it shuts the mouth of a dumb person not to talk nonsense." Is it little wonder then that Przemysl is known as Poland’s Pipe Headquarters? 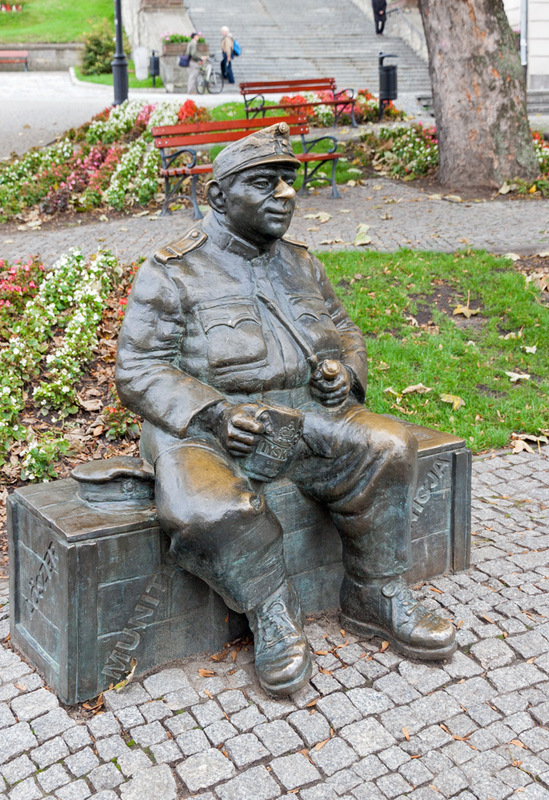 There is even a monument of a happy fellow sitting in the middle of town, resting himself on a bench. Smoking his pipe, that appears to be a churchwarden, while holding a stein of unknown content. I had been wondering about this brand ever since it hit the market. Thanks for filling-in the blanks with this interesting expo. A suspect statement as regards to briar, no? But an informative and fine article. Thank you! Thanks Fred, A very fine article. I love these pipes. One heck of a great smoker, cheap or not, and some fun designs. I was a bit skeptical at first with the idea of pear wood, but was amazed when my first Mr. Brog arrived at how nice the smoking quality is. And, at the price, how can you beat them? The #48 model is a very stable sitter with a really thick bowl, so the thing stays cool in the hand. The article mentions pear wood smoking hotter; I have not experienced this problem at all. KI only wish that I had discovered these things sooner.